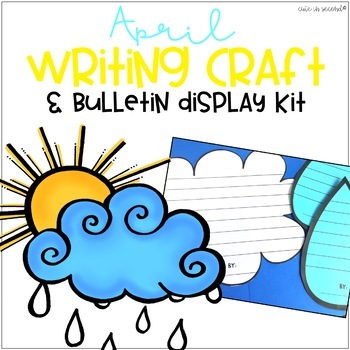 This product will help you create an adorable Spring Bulletin Board! Describe the sights and sounds of spring. Describe the typical weather during the spring. Write and acrostic poem about clouds, rain, spring, or weather. Write a rhyming poem about spring. Write about what you like to do outside during the springtime. Write a letter to Mother Nature. I used clothes line pins to hand the letters but it will look just as great if you staple the letters down. I also used 6 different colors to print out the letters. This file is in black and white for ink saving!